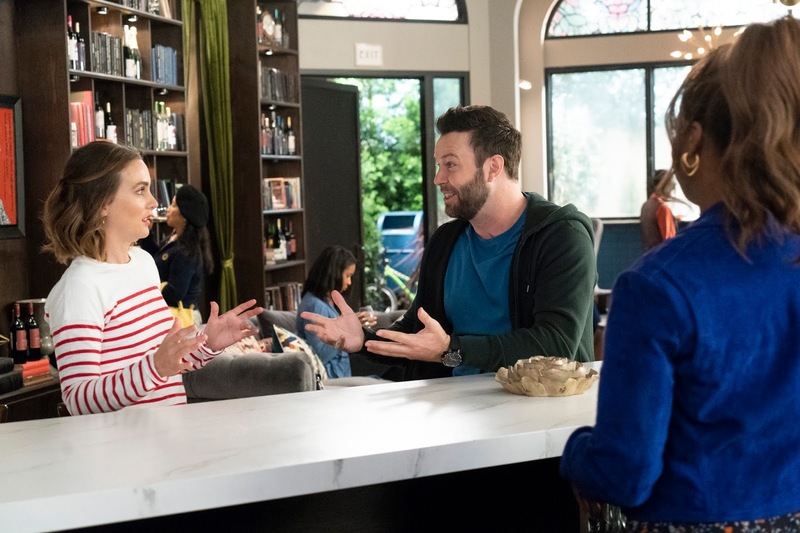 It's Angie's 30th birthday and Will is prepared to go all out in order to celebrate, despite Angie's wishes that no one do anything. But once Will finds out Angie once missed out on going to an intense metal festival for her 21st birthday and hasn't felt like celebrating since, he takes it upon himself to plan "Angfest" a party full of all her favorite things like heavy metal, Mark Rush dressed as Alice Cooper, a cake in the shape of a bat heart, gummy snakes to bite the heads off of, and lots of corn chips. The problem is, when Angie shows up at the party with Owen, he panics at the elaborate set-up, making his unscented candle gift pale in comparison, and takes credit for the entire thing, leaving a crestfallen Will behind. (Why is everyone always taking credit for Will's thoughtful gifts!?) 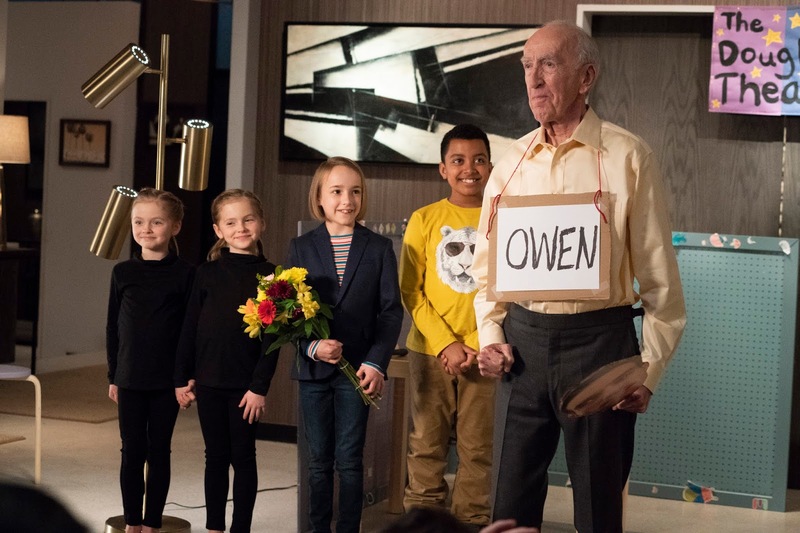 But Will, being Will, is the bigger man and lets Owen continue on with his lie, even when he apologizes and offers to tell Angie the truth. All that matters is she's enjoying herself and she's clearly loving Angfest. Poppy and Miggy are happy to help too, when they're not busy spying on the new cafe across the street. Karen's Club is stealing away Poppy's winebrarians. She sends Miggy in to do some recon, though she has to remind him of the fact his help is equivalent of leftover hot dog water. Harsh! Graham and Douglas are out trying to find Angie the perfect gift since Douglas calls his macaroni necklace trash. Graham wants to get his mom something perfect, so Douglas takes him to a department store where he gives him his credit card and runs wild. Graham buys lingerie, attracted to feathers. Obviously, he can't give Angie a teddy for her birthday. So back to the pasta necklace it is. Angie assures Graham she loves all his gifts, even if she doesn't wear them. But does take him to the store to return the lingerie where Graham buys her a simple chain necklace and Angie adorns it with a piece of pasta! Super cute. 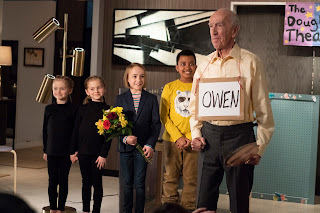 As for Owen and Angie, things don't go so well for them this week. Owen realizes Angie doesn't feel the same way about him when she can't bring herself to say "I love you" and the two break up. Luckily Angie has Will to cheer her up as he sends her on stage to do that thing where you go on stage during a cathartic moment and sing in front of a group of people - with steadily increasing confidence. She nails "Raining Blood", by the way. Oh and, Rory, Sophie and the twins write a play. It's a subplot I wish had gotten a little more screen time or been saved for a different episode. Cute, but forgettable, though I like when Rory gets to interact with the other kids. 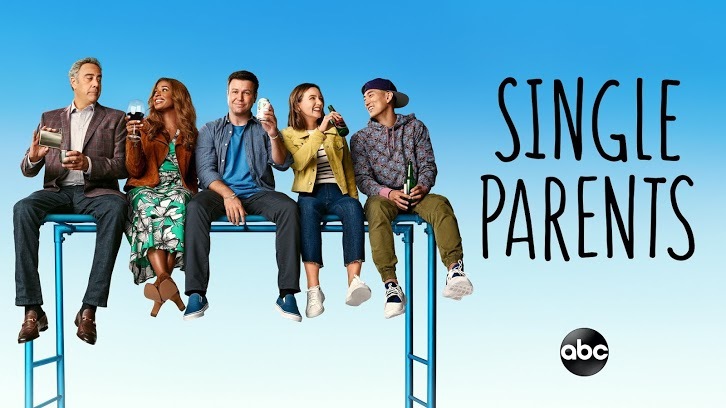 New episodes of Single Parents air Wednesday nights on ABC.